Why, yes! That is a plant in the Mustard family! Probably Rock Cress (Boechera perennans), but a mustard, in any case. 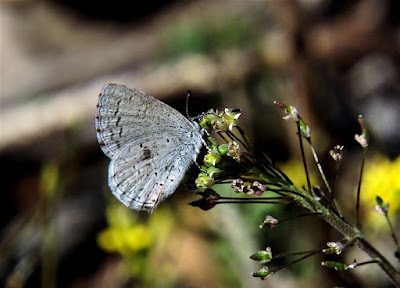 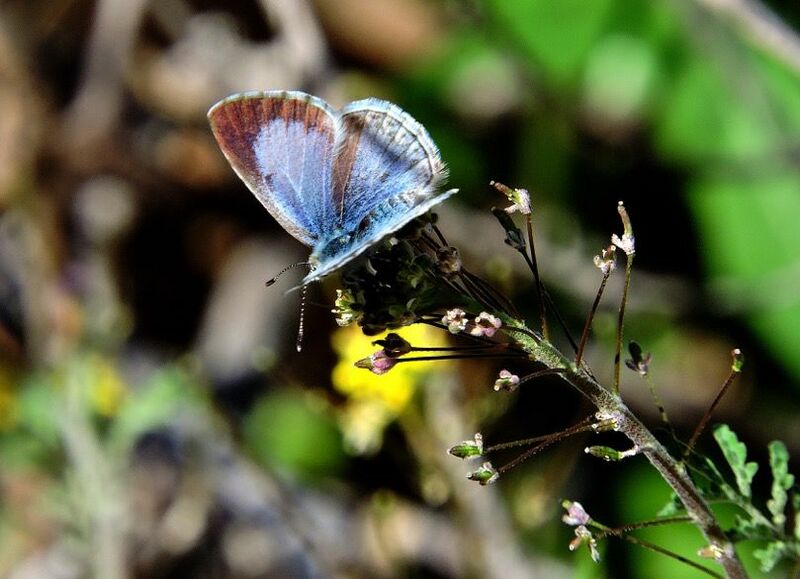 And the butterfly is a Spring Azure, a female, no less.